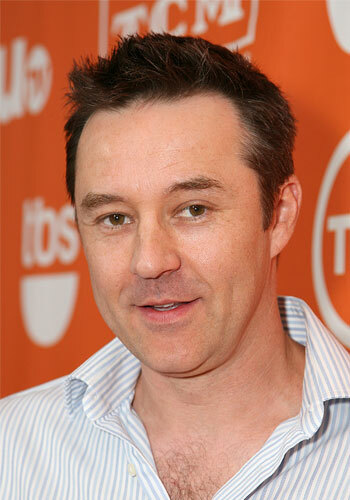 Currie Graham is a Canadian stage, film and television actor. He studied at the American Academy of Dramatic Arts in New York City. Graham is known for playing Lt. Thomas Bale, the micromanaging station commander in the final season of the TV program NYPD Blue, having earlier made an appearance in Season 2 playing a small-time criminal. His other regular starring TV appearances include the final season of the TV program Suddenly Susan as the male lead/romantic interest Nate Knaborski. Graham has established a career in television via multiple guest-starring roles, including recurring roles in House as the husband of Dr. House's ex-girlfriend Stacy , The Mentalist as Walter Mashburn, Weeds as Vince, 24 as Ted Cofell, Boston Legal as ADA Frank Ginsberg, Desperate Housewives as Lynette Scavo's boss, Ed Ferrara, Criminal Minds as Viper, in the episode titled 52 Pickup and in Men in Trees as Supervisor Richard Ellis, the romantic interest of local chief of police Celia Bachelor. Other guest appearances include Over There as Corporal Shaver, and roles on the TV programs Judging Amy, Patrick Lehane on the TV Mini-Series Would Be Kings and CSI. Recently, he appeared in the direct-to-DVD film Stargate: The Ark of Truth, a film conclusion of the Stargate SG-1 television franchise, as IOA agent James Marrick. He previously starred as Nick Balco in the TNT series Raising the Bar. He also appeared in the pilot episode of Brimstone as Det. William Kane. In July 2010 it was announced that he would guest-star in the Season 4 premiere of Private Practice alongside French Stewart. He lives in Los Angeles, California, with his wife and daughter. Whole or part of the information contained in this card come from the Wikipedia article "Currie Graham", licensed under CC-BY-SA full list of contributors here.